If you dream of a holiday that’s full of adventures in one of the least crowded and magnificent countries in the world – look no further than New Zealand. This incredible seven-night North Island discovery tour delivers incalculable beauty and cultural magnificence, for a trip of a lifetime. New Zealand’s indigenous Maori culture is endlessly fascinating and visitors get unique opportunities to sample the local Kai (food) and meet the Maori (first nation) people. 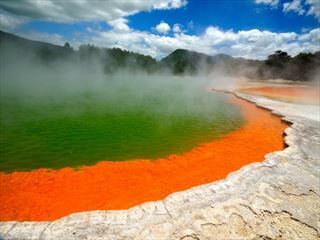 Iconic sights in the central North Island include active volcanoes, bubbling mud pools, geysers and natural hot pools. Thrill seekers will love the opportunity to get off the beaten track and discover the lesser visited east of the North Island. You’ll be truly immersed in Maori culture, spending an incredible night in a Marae - a traditional house with a Hangi dinner included. A world away from what you’re used to, you’ll venture on a journey on the 'Forgotten World' rail, a disused Heritage Railway line now travelled on by pedal power or electric custom-built buggies. You’ll see the light installation amongst the Redwoods, explore the Waitomo caves and witness the glow worms. There’s plenty of activity on this tour, so some energy and agility are required if you really want to make the most of your adventures in New Zealand’s North Islands (INT - PHCNN). Kia ora! Welcome to New Zealand where anticipation for the next seven nights starts to build at the 6.00 pm Welcome Meeting at your hotel. Your group leader will be collecting your insurance details and next of kin information when you meet, so please bring these with you. 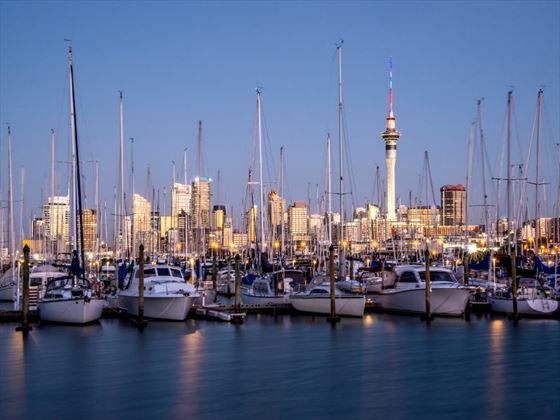 Known as the ‘City of Sails’ due to its love of the water, Auckland has an unmistakeable flavour of the Pacific, that can be observed among the streets, local markets and in the dynamic waterfront region with its busy bar and restaurant scene. If time permits in New Zealand’s largest city, you may like to take a day trip to one of the many outer islands found in the Hauraki Gulf. Your time in Auckland is short, so it’s well worth arriving a few days early so you can explore a bit more before your North Island discovery tour begins. There are numerous beaches and hiking trails nearby and the city itself has plenty to offer. Head up the Sky Tower for lunch and to see the amazing city views. Or, view the super yachts down at Viaduct Harbour. Wine lovers should definitely pop over to Waiheke Island to visit the wineries. This evening, why not spend a little time getting to know the rest of your group at an optional dinner? Your adventures begin in Rotorua, the cultural capital of New Zealand and only a short drive from Auckland. Arriving at lunchtime you’ll explore the area which is at the centre of New Zealand’s Maori culture. Witness the spirited hiss and roar of the spouting geysers, bubbling mud pools and the majestic redwood canopies, which are part of what makes Rotorua such an astonishingly diverse place to visit. This evening, you will take a walk among the awning redwoods, for an incredible experience after the sun goes down. Watch in awe as the forest wakes up under the light from many multi-coloured lanterns that create a mystical ambience at night. Today you can spend the morning exploring Rotorua at leisure and step out to see what the geothermal wonderland has to offer. 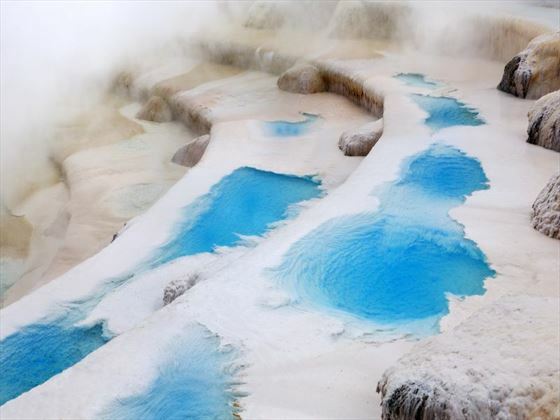 Experiences include visits to hot pools, spas and volcanic landscapes. Check out Te Puia for some Maori culture and the famous Pohutu Geyser. Or, explore Rainbow Springs to spot the native kiwi and admire the local flora and fauna. 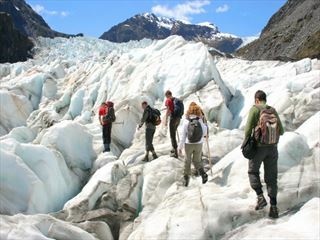 After lunch, you’ll be going off the beaten-track for a true New Zealand experience. Travelling inland, you’ll get to stay in a marae and meet a local Maori family. You’ll be escorted through the township, observe a traditional haka powhiri performance from the local children and then enjoy afternoon tea with the village elders. 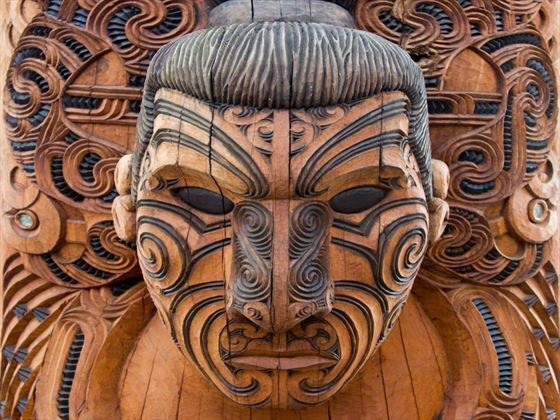 You’ll get to weave bracelets out of flax, play local stick games and even learn the haka! A Hangi buffet feast follows and then you will end the day watching a cultural performance that is put on by the children. More stories are shared and new friends made before it’s time to sleep and dream. An action-packed day of fun awaits as you head towards Gisborne this morning. Starting off at Whakatane today, there’s an optional scenic trip to Te Puia (White Island). So,if you didn’t go yesterday, you might like to include this today. On arrival in Gisborne, you’ll encounter world-class surf beaches and vineyards. Full of history, this city played a crucial part in the country’s origins, with Captain James Cook coming to land in 1796. You can explore the city at your own pace or ask your group leader for inspiration on things to see and do in the city. Whatever you do though, be sure to taste some of the local wines, as this is the ‘Chardonnay Capital of New Zealand’! 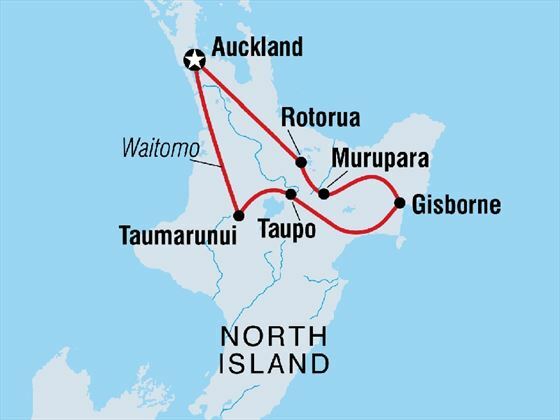 After breakfast, you’ll be continuing on inland to Lake Taupo, home to Australasia’s largest freshwater filled crater lake in Tongariro National Park. Today’s activities blend adventure, adrenaline experiences and even more Maori culture. Behold the water hurtling from Huka Falls. 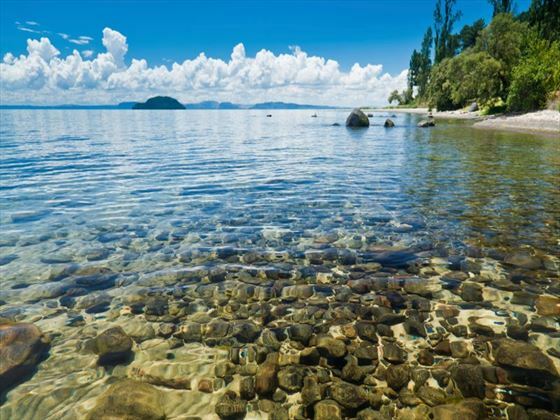 Lake Taupo itself is well known for jet boating, skydiving, geothermal hikes and kayaking. The list of opportunities is endless. Tongariro National Park has three volcanoes and fantastic day walks. As darkness falls, you’ll take a scenic boat trip on the lake to explore Maori rock carvings and witness incredible views of Te Kopua and Acacia Bay as you glide serenely across the water. A swimming stop may be possible but be warned it can be more than a bit chilly! Keep your camera close by for some fantastic photo opportunities. Tonight, you will enjoy pizza on the deck of the boat, with a glass of wine or beer to toast the setting sun. 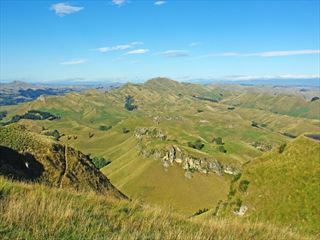 Today combines land and water experiences as you venture to the wild west of Aotearoa for a day of exploration. En route, you’ll behold 10 tunnels and 20 bridges and journey along rail lines where you’ll brush with serene emerald countryside. At the end of the rail, you’ll jump in a jet boat onto the Whanganui river for a dynamic trip across the waters of this sacred river. Your trip ends back in Auckland, but not before making an optional stop at Waitomo to explore its world-class cave systems. A truly must-see destination, the thousands of glow-worms in their bioluminescent light show, create a remarkable effect against the rocky walls. Some say the blue-green neon lighting in the underground chambers remind them of the stars in the night sky. You will drive back to Auckland for your final evening. Your New Zealand North Island Discover tour comes to an end this morning in Auckland. Why not extend your stay? There’s so much to see and do in Auckland and the surrounding areas. No meals are included today. Rotorua - Redwoods Nightlights Walk. Murupara - Marae stay. Traditional Maori Hangi dinner and performance. Murupara - Local community visit. Taupo - Huka Falls. Taupo - Sunset Lake Sailing. Taumarunui - Forgotten World Adventures pedal rail journey.